By now you have probably heard something about ‘Therapeutic Riding’ programs that help people with sever physical or cognitive issues. You may have heard that horses are great for helping people on the autism spectrum and maybe even how horses can help Vets struggling with PTSD. But it might surprise you to know that work with horses can help business be more successful! 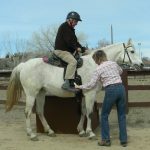 This wonderful piece from Forbes, shares the story of a program near Santa Fe, NM that is helping companies with leadership and professional development through work with horses. They share 7 things that can be learned through this work, including setting boundaries and being a good leader. The good news for Northern Nevada business is that you do not need to travel to New Mexico to do this kind of work! 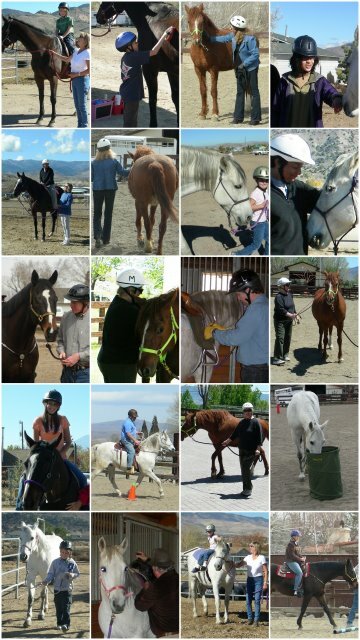 Nevada Equine Assisted Therapy offers several opportunities to build and strengthen your team right here in Reno! We will sit down with you and talk about what your goals are, such as improving communication or encouraging creative thinking, and develop a program for your staff to work on these goals through work with horses. We offer many options, everything from a short (2 hour) session to a long (day/multi-day) program. It is all about what works for you! If you are looking for a unique and challenging way to motivate, inspire and engage your team, give us a call or send us an email! We will schedule a time for you to come out and meet the herd, talk with you about what you would like to accomplish and share how we can help you make it happen. This entry was posted in Other programs, Team Building. Bookmark the permalink.